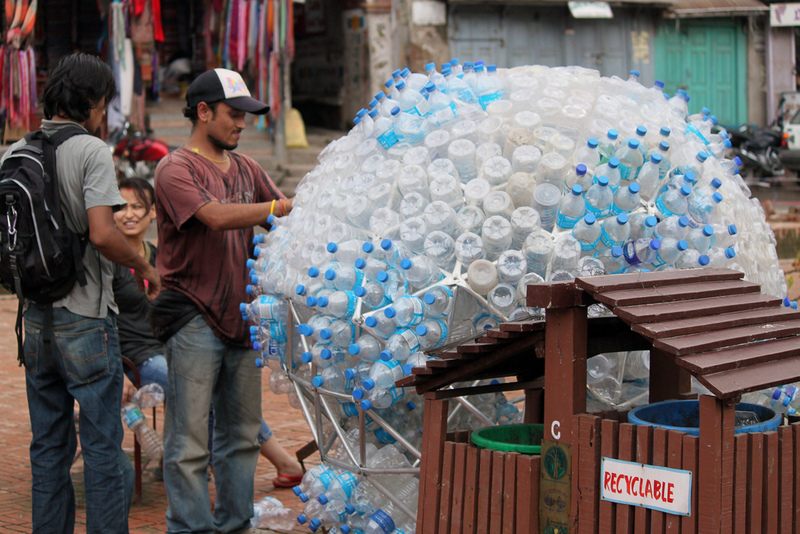 An art form created with used plastic water bottles at Patan Durbar Square. This depicts an effort by local people to show thrown away garbage accumulates over time and exhibits an effort to create something useful. This picture was taken at Patan Durbar Square near “Rani Pokhu” on a sunny afternoon on 5 Septmeber 2010.